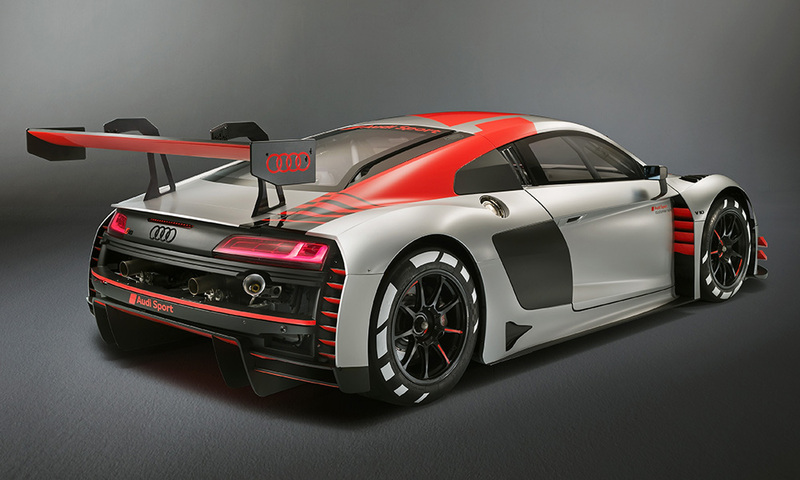 Audi has pulled the covers off its 2019-spec R8 LMS GT3 racer at the Paris Motor Show, debuting a facelift with all-new Evo bodywork and strengthened powertrain components for gentlemen drivers. In all, the Ingolstadt brand has revised the sportscar competitor for improved drivability, aimed at its vast customer racing program. 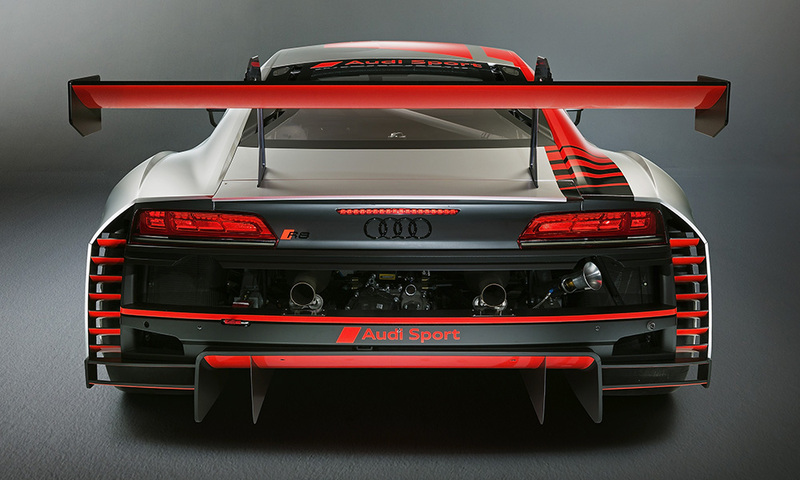 The devilishly modified front fascia and splitter are said to give more consistent, predictable downforce that simplifies the airflow to the rear end, improving heat evacuation properties for the R8 LMS GT3's sharp-biting brakes. Power output figures remain unchanged from the car's naturally aspirated 5.2-liter V-10. Unlike its Lamborghini Huracan GT3 Evo brethren, the Audi has kept it simple in terms of engine modifications to maintain reliability. Still, it produces a healthy estimate of 580 horsepower and upwards of 400 pound-feet in the torque department. The transmission, however, is treated to a list revisions in efforts of improving durability. Freshly designed gear teeth, reinforced bearings, and a stronger clutch cut down on rebuild intervals by 50 percent, again making it easier to own and run for privateer racing programs. 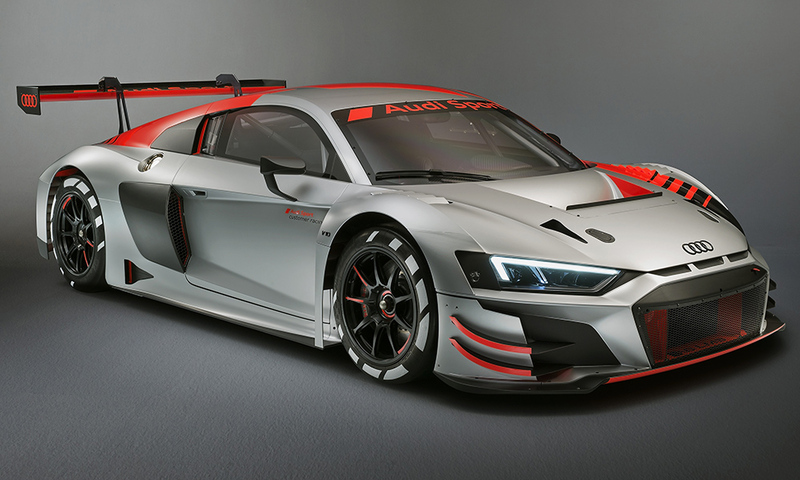 As for the Evo body kit, it will be available for current owners of existing R8 LMS GT3 models at a cost of 28,000 euros ($32,000). This allows for a simple retrofit that brings with it the improved aerodynamics and modified look of the newly introduced model. Pricing for the whole 2019 model year shebang clocks in at 398,000 euros ($460,000) plus taxes. While this may seem expensive, it's a relatively affordable option for those looking to enter IMSA's WeatherTech series or the World Endurance Championship.